Pokemon Ruby Version (AKA ポケットモンスタールビー Pocket Monsters Ruby in Japan) is a fantastic 2D adventure top view RPG video game developed by Game Freak and distributed by Nintendo for the Game Boy Advance (GBA) handheld console in 2002 along with Pokemon Sapphire Version. A lovely game you can’t miss! It was followed by Pokémon Emerald Version in 2004. 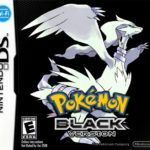 This game is the third generation instalment in the ever popular Japanese game franchise It features a nod to the series’ origins where you begin in a small town, develop a rivalry with your childhood friend, and meet a well-renowned Pokemon professor as you kick off your journey. However, Ruby Version breaks away from the mold of the original by no longer having the plot that directly picked up from the previous video games of the saga. While losing access to the older regions of Johto and Kanto can be disappointing, the game immerses you in its own grand story set in the water-filled region of Hoenn. Several mechanics introduced in Ruby Version allow for an added layer of strategy and variety for battles. For the most part, you can use two monsters together when facing off against two trainers in double or tag team battles. Also, in-game weather functions as a key element that affects the flow of battle. For instance, certain conditions such as rain, sandstorms, or hail enable certain buffs or debuffs depending on what Pokémon you have. Outside of combat, individual monsters are assigned an inherent nature that affects how their stats grow each, and a passive ability that activates during combat. Since the changes in this version, Pokemon battles have more reliant on how you prep your team from the ground up. Certain moves and equipped items can make or break battles, which is especially true in tag team matches which require careful coordination. On the downside, this generation might be the hardest to complete out of the entire series. 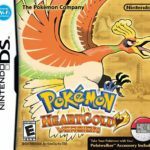 It’s a given that most monsters can only be traded from other versions, but Pokemon Ruby Version requires you to have played spin-off titles in the series, namely Pokémon Colosseum and Pokémon XD, which are developed for an entirely different console. Not to mention that you needed to own two separate link cables to do this. Unless you own a pair of Game Boys and a working GameCube, your Pokédex completion dreams are stuck in a bind. As a break from all the catching and battling, you can engage in several mini-activities throughout the game. You can sign up for in–game talent shows dubbed as Pokémon Contests where you have monsters compete and judged for certain prizes. Similar to training for battle, you also need to raise your monsters’ appeal to win contests by feeding them properly with pokéblogs. Obtaining these blocks is an extensive quest by itself, as they can only be made in a blending mini-game where you mix berries you find or raise from all over Hoenn. If that isn’t enough for an in-game breather, you can also play in casinos or build a secret base around the region which you can personally decorate and invite friends over through linked play. Despite a difficulty curve designed for a younger audience, the plot and gameplay experience definitely lives up to its potential. 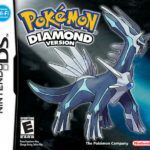 With several refinements in the gameplay and a total of 135 additional monsters to catch for the Pokédex, Pokemon Ruby Version stands out as an RPG worth more than its nostalgic value. Overall, single player campaign is strong enough to warrant a nice grade for its charm and replayability, even for newer fans with no prior experience with the classic GBA handheld. 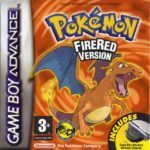 Pokemon Ruby Version game has only been ported to Game Boy Advance. Do you want to play it online? go to the top of this page!